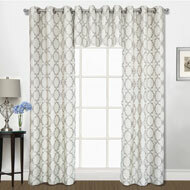 Give any room in your home an instant upgrade with curtains, window drapes and shades from Collections Etc. Our vast collection includes everything from classic curtain panels, draperies and valances to practical blinds, shades and curtain rods. 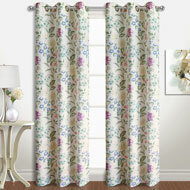 No matter what type of makeover you want for your room, getting the right set of curtains can help you to achieve it. Peruse our premium picks to find high-quality, affordable curtains and blinds to spruce up your space, to add a little bit of privacy or to help block out the cold or heat throughout the year. Not sure which window treatments are right for the room you have in mind? When you shop curtains, drapes and more at Collections Etc., you’ll discover all kinds of unique options from which to choose. 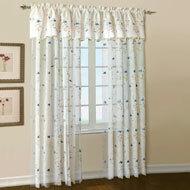 For a charming appearance in bathrooms or kitchens, a pretty valance will do the trick. 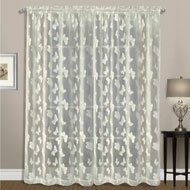 For an elegant, airy look, consider buying sheer drapes. If practicality is what you’re after, be sure to add blinds that allow you to easily control the amount of light in your home throughout the day. One of the best things about buying curtains at Collections Etc. is that you’ll find a well-curated assortment of seasonal styles that bring a fresh and festive feel to your home. Choose a cute print with colorful leaves or pumpkins to celebrate the joy of fall, or shop for Christmas curtains to add big holiday spirit to your home. These one-of-a-kind accessories come at a great value, so you can select several styles to swap out throughout the year.